(And just like that, you can't get rid of me, ha!) I know that these aren't technically cookies, but my family is really big on making Christmas candy instead of cookies. 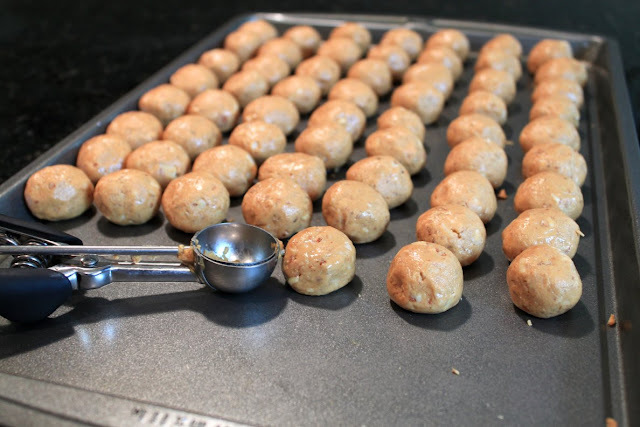 I have an arsenal of recipes that were handed down from my grandma, but a few years ago, my bestie and I came up with this recipe for dipped peanut butter balls. 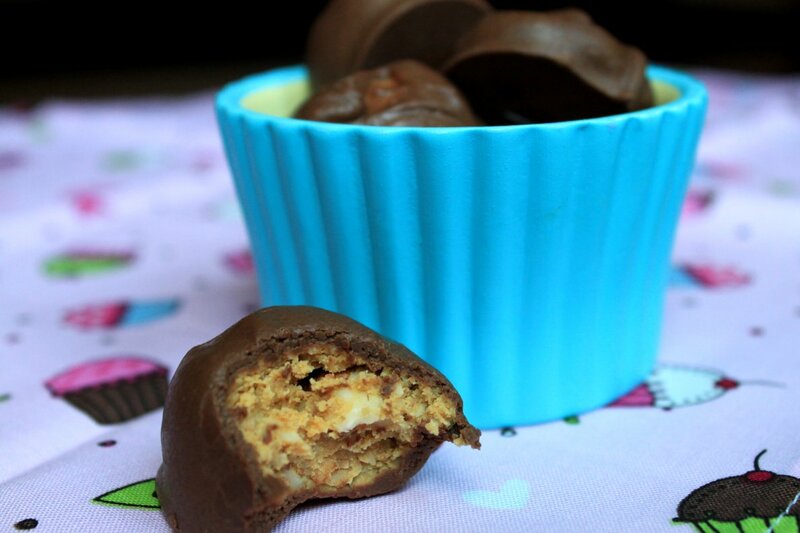 We gathered a bunch of different recipes, hacked them up, and out came these babies. And they're so darn yummy, that we didn't bother to change a thing. 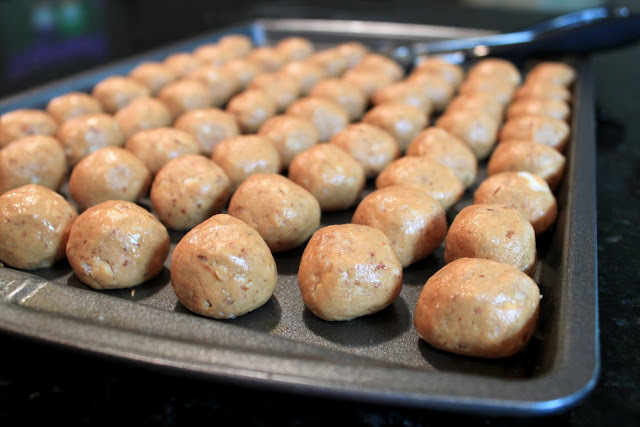 With an electric mixer, mix the peanut butter, powdered sugar, and almonds until combined. Roll into balls and chill for at least an hour. 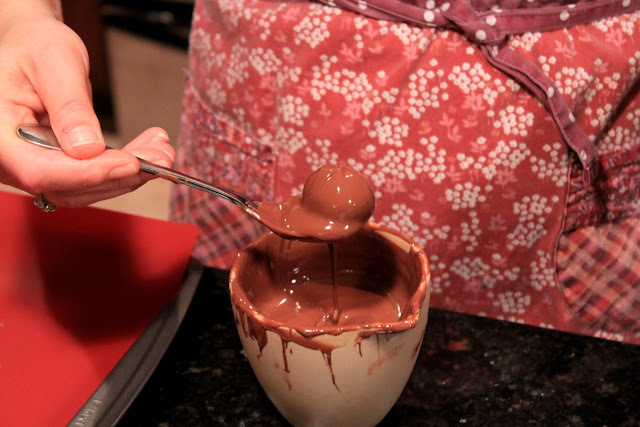 Melt chocolate in a double boiler, or in the microwave at 50% power. 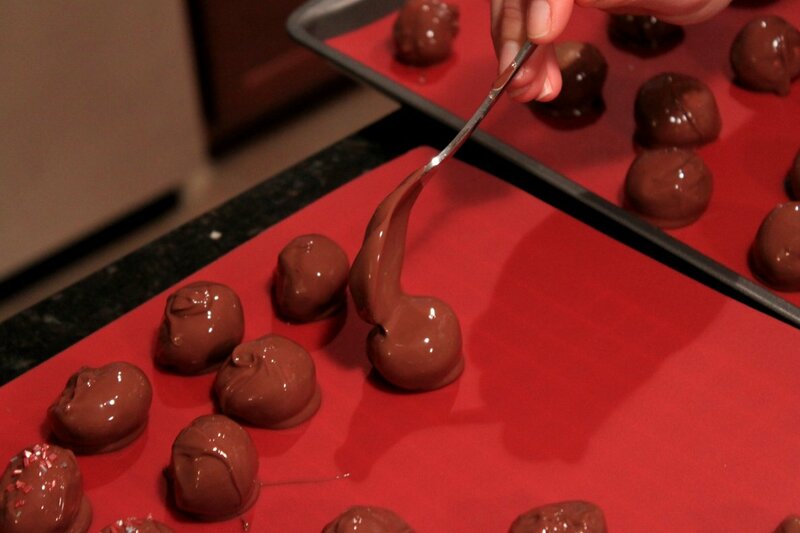 Dip peanut butter balls into the melted chocolate and allow to cool on wax or parchment paper. * We put our whole almonds into a sturdy ziploc and smacked them a bunch with my heavy meat tenderizer. 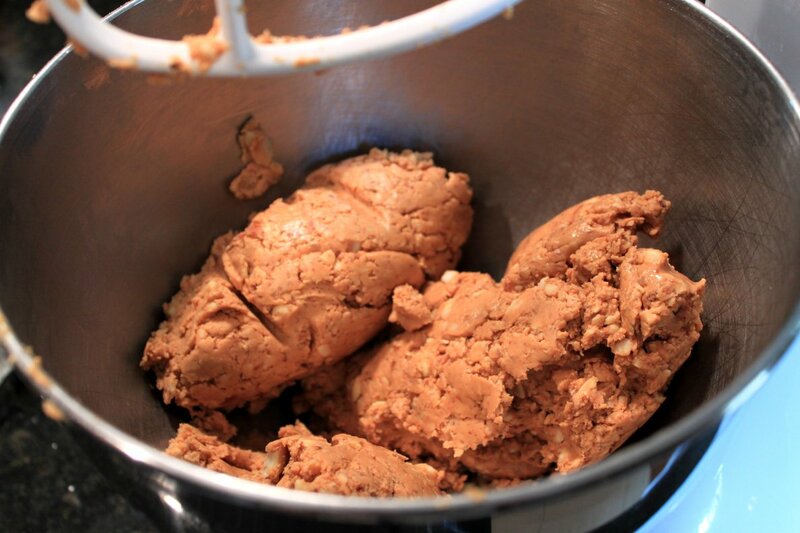 The dough will be stiff, so using an electric mixer makes things a lot easier. Use a small cookie scoop to make evenly-sized balls of dough. Don't worry if they're a little lumpy and bumpy. Plunk the ball into the melted chocolate, and then fish it out with a spoon. Plop down to cool. You can put them into the fridge to speed up the cooling. Inside? Crunchy bits of almonds and smooth peanut butter, mmmmmmm. Woohoo!!! I've been waiting all week for this recipe. 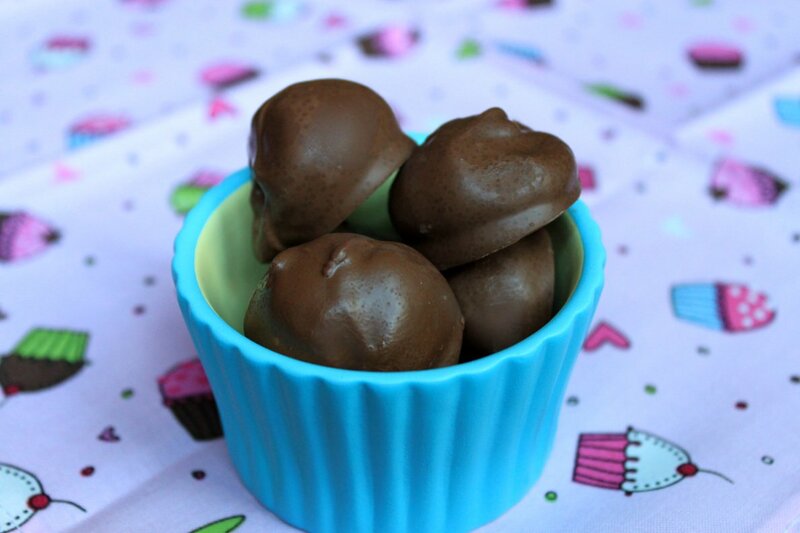 These look delicious and just in time to make to include in Christmas cookie boxes. Just made these to include in holiday gift boxes (along with homemade fudge). They are delicious!!! Thanks Sara!! !